Sarah Darling hotfooted it to Guildford straight off the plane from Nashville where she’s currently recording her forthcoming album. 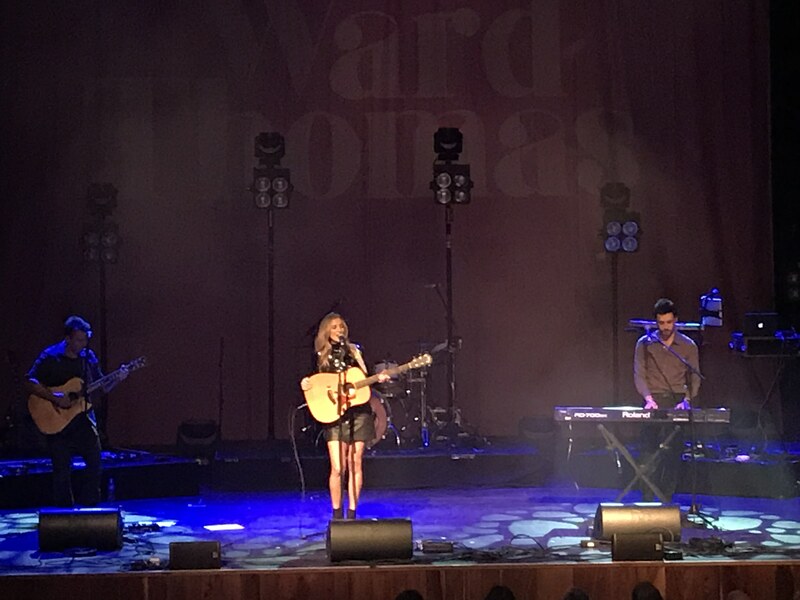 Backed by acoustic guitar and keyboards she glided through a high quality set, supporting Ward Thomas, featuring new songs getting a UK airing for the first time. Opening with Place To Shine, streamed over a million times, her beautiful voice was itself shining. As if this wasn’t proof enough of her talent a festive Santa Baby from her new Winter Wonderland album gave Eartha Kitt a run for her money with gorgeous, sultry vocals and a hint of Marilyn Monroe. Darling debuted a trio of new tracks, Shimmer Like Gold and Diamonds “about something beautiful which takes a while to be wonderful.” and Wasted which is a song she originally wrote ten years ago about the break-up of a family member’s marriage but has only recently felt able to perform. With another festive track to finish, it is December after all, she turned White Christmas into a gentle crowd singalong. Darling returned later in the evening to join Ward Thomas on a track they co-wrote together. More on that to follow in the Ward Thomas review appearing shortly on this site. The future is bright for Sarah Darling. She’s excited to be playing London’s Union Chapel next March. That will be a concert to look forward to.